Accession 2004:39, found in Archives. Photographs are in original order, alphabetically by class year. Lewis Muhlenberg Haupt was born in Gettysburg, Pennsylvania on March 21, 1844 – the son of Herman Haupt and Ann Cecilia Keller. 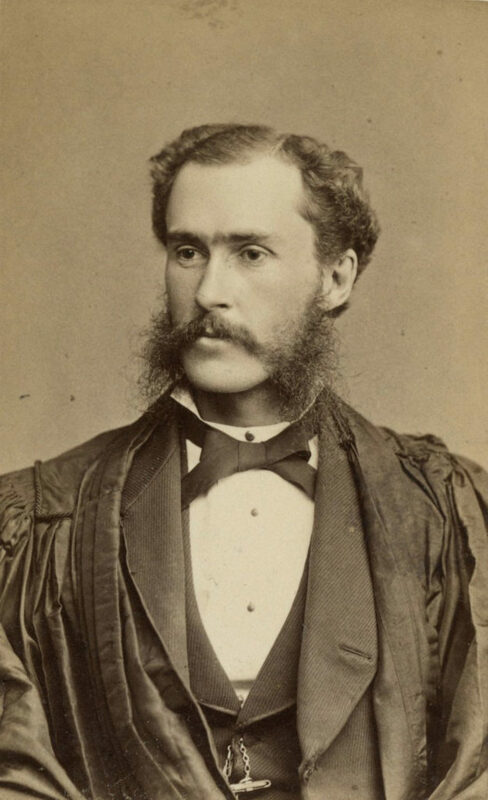 Initially enrolling at the University of Pennsylvania in the Class of 1865, he left after his freshman year to attend the U.S. Military Academy, West Point – graduating in 1867. From 1873 until 1892 Haupt was a professor of civil engineering at the University of Pennsylvania. Haupt died in Cynwyd, Pennsylvania on March 10, 1937. The album contains carte de visites of 25 individuals from the classes of 1881 – 1884. The majority of portraits are identified, and some have annotations relating to their professional careers after graduation. The first page of the album contains an inscription: Lewis M. Haupt. From his Father U.S.M.A. October 3rd, 1863 to June 1867. Names of all individuals have been checked against the yearbooks of their graduating year. All were Science majors.